If someone had said to be when I was the biggest Spice Girls fan of all time, aged 12, that Victoria Adams (now Beckham) would a) marry David Beckham, or b) become a well respected fashion designer - I would have laughed smack in their face. However, Victoria has found her niche (which wasn't singing, ironically enough) - she's quite good at making new dresses these days. Her 5 fifth collection for AW11 (above) had one of fashion week's most prestigeous audiences this year. Victoria's collections always stick to the same priciples, which is probably why her dresses are so distinctive: one colour, sharply tailored and slick. Very similar to her look with the Spice Girls when you think about it - at least once they had cashed in the royalties to the first album (those florescent cargo pants and the bleached blonde hair remind us that even the most refined fashionistas can make huge errors of judgement at times). Her clothes has been worn on many of the red carpet trend setters; from Cameron Diaz to Michelle Obama. Her pieces work for all shapes - as above shows. 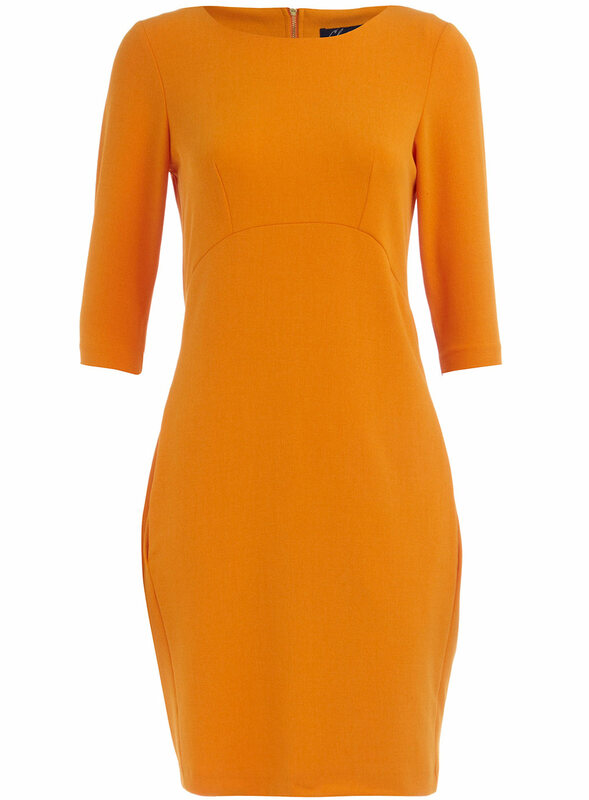 This SS11 Retina dress has been on the front pages of most of the magazines over the last few weeks. Victoria isn't afraid of colour, and reminds us of the importance of tailoring when you are wearing something that stands out as much as this. This mustard looks great on so many skin tones too, and is one of the colours that will be carried over to AW11. However, at £1460 on Net a Porter - some of you might need to find an alternative, like me. I came across the above number at Closet, which is stocked in most Dorothy Perkins stores. Closet looks like the kind of thing you shouldn't go and look at - it has lots of pieces covered in cheap glitter and tassles. However, they do have a couple of gorgeous pieces every year - and make them all in several colours. 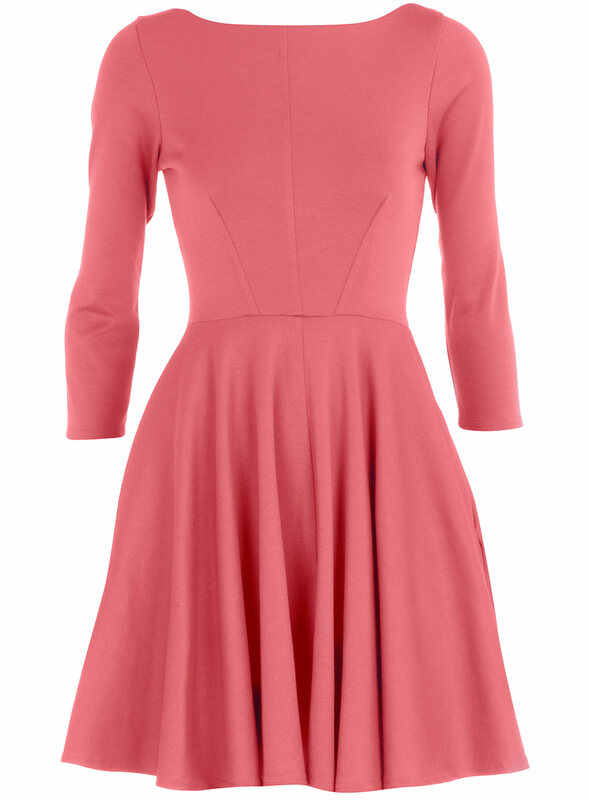 This dress is £42 pounds - looks great on (I have tried it). It also has the same cut across the torso that the Beckham dress does. Here is another piece which looks really similar to the VB version - very similar colour too! Closet stuff is actually great, completely changed my view on it last year when I found a great white structured top from there that I have worn to death. 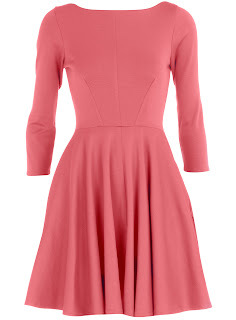 Or sticking with the structured theme, Reiss' Leah dress is £159 and in keeping with the Beckham style. She is so talented and beautiful! Love her! Def found her niche I love her clothes, now if she could just stop this size 0 nonsense I'd be totally on board!